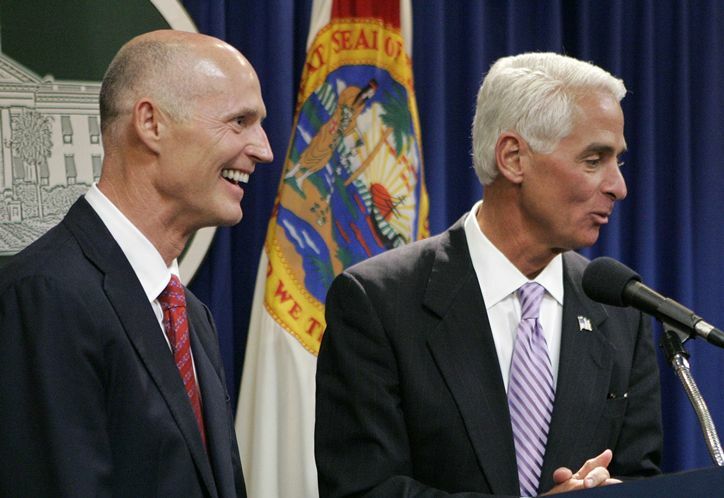 Florida’s Governor Rick Scott, a Republican, has repeatedly told voters that the neglected and abused children have been safer under his Florida leadership than when Charlie Crist his opponent who is a Democrat was the governor. However, an examination by a news agency of his claim shows it might be a bit of an exaggeration. Scott claims the deaths amongst the children who have come to the attention of the Department of Children and Families have plunged to 36 in 2013, from 97 during 2009. However, experts in child welfare said any plunge has been attributed to how the DCF responds to reports of abuse and changes in what is considered a death brought on by abuse or neglect. The result, said investigators, reduces the number deaths amongst children artificially compared to the term of Crist from 2007 to 2011. Last Friday, during a debate, Scott, on three occasions said the 97 children with a history in DCF had died of abuse during 2009. However, the state team of reviewers on child abuse deaths, which is independent of the DCF and is often critical of that agency, said that only 69 children were killed due to abuse or neglect that year. Scott and his staff said the figure of 97 deaths came from a company that the DCF hired and the administration had examined the deaths of children from 2007 to 2013. The current Governor’s administration says the analysis is based on data that has been updated. Following the debate, Scott’s reelection campaign released a statement saying the deaths due to child abuse declined dramatically since 2011 when he took office. However, the governor and campaign team omitted one important point. That, welfare officials are no longer counting children who drown or toddlers and infants who die due to being rolled on by a sleeping parent. They say it must be a willful act in order for a child’s death to be determined neglect or abuse. That new standard means many deaths have not been counted, even when evidence existed of drug use by parents contributing to the death.